Providing you the best range of digital process controller, process indicator and controller, c/o type predefined i/p indicator & controller, bargraph type predefined i/p indicator & controller, din rail mounted predefined i/p controller & indicator and wall mount predefined i/p indicator & controller with effective & timely delivery. Pantech Instrument’s Digital Process Controller (Model 902) is an extended version to its predecessor model 901. Model 902 is a Humidity Transmitter + RTD sensing element. The Sensing + Transmitter circuits not only senses the %RH value, but also does convert it into 2-wire 4-20 mA DC signal, for use of the higher instrumentation or controlling layers. The load capacity of this 4-20 mA DC signal is 600 ohms. 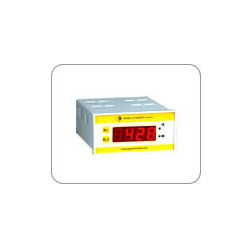 Model 902 series is often ideally suited for low drain, battery operated systems. The basic Humidity sensor inside the probe gives quality RH (Relative Humidity) sensing performance in a competitively priced package. The RH sensor is a laser trimmed, thermoset polymer capacitive sensing element with on-chip integrated signal conditioning. The sensing element’s and transmitter PCB’s multilayer construction provides excellent resistance to most application hazards such as wetting, dust, dirt, oils and common environmental chemicals. For Temperature measurement, a miniature but high quality RTD is installed inside the basic sensor. The model is a fully configurable one, microprocessor based type. 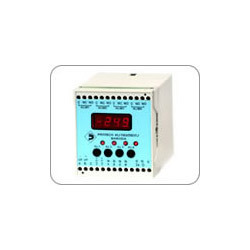 The model incorporates low drift operational amplifiers and industrial grade components. Burn in of each module ensures a long trouble free operation. 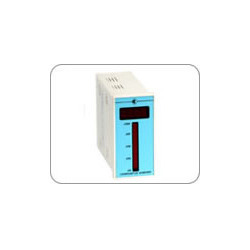 Ambient Temperature 0 – 50° C.
Storage Temperature 0 – 70° C.
We are one of the leading organizations engaged in manufacturing, supplying and exporting a wide range of Process Indicator and Controller. Manufactured utilizing optimum-grade raw material, these products are available in various forms, models, sizes and grades as per the requirements of our clients. Further, these products are stringently tested on various parameters, before final delivery to customers' premises. T/C Type J, K, R, S, T.
Alarms Maximum 4 nos. of potential free contacts. 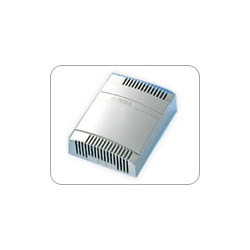 Contact Ratings 230 V AC, 5 Amps. Power Consumption 6 VA max. Ambient Temperature 0 – 50Ω C.
Backed by vast industry experience, we are offering C/O Type Predefined I/P Indicator & Controller. These products caters the requirements of many industries and are manufactured under the able guidance of our professionals. Our professionals develop these products utilizing superior-grade raw material and other basic components that are obtained from trusted vendors of the industry. 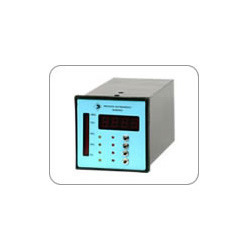 With the in depth knowledge of the various aspects of the industry, we have been put forth our clients a broad array of Bargraph Type Predefined I/P Indicator & Controller (96*96). Our professionals develop these products by using optimum-grade raw material with the aid of innovative machinery and latest technology. Further, these products are manufactured in adherence with the international standards of quality. 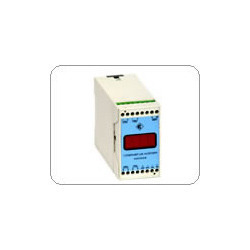 With the aid of modern tools and sophisticated technologies, we have been able to provide the customers with an astounding assortment of Din Rail Mounted Predefined I/P Controller & Indicator. All our products are manufactured in tandem with the international quality standards using superior quality raw material under the guidance of our professionals. Post-production, these products are tested on various industry laid parameters, to remove every possibility of defect. With the support of our experienced technicians and engineers, we have bring forth to our clients an quality range of Wall Mount Predefined I/P Indicator & Controller (Jumbo 4”Size). These products offered by us are made utilizing optimum grade raw material, which is procured from trustworthy vendors of the market. 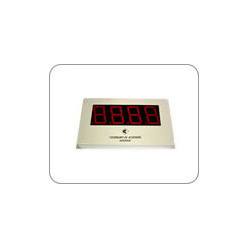 Along with this, the offered range of indicators & controllers is available in different models, sizes and grades in accordance with the emerging requirements of esteemed clients. 801 Panel 96”*96 72*144 144*72 All All Max. 4 Yes Yes Yes(21 led) 3 ½ max. with BG 0.25/0.5/0.8/1"
We are among one of the prominent manufacturers and suppliers of the industry, we offer a reliable and efficient range of Din Rail Mounted Predefined I/P Indicator & Controller. This range is available in different customized specifications and forms in accordance with the emerging requirements of esteemed clients. Also, all these controllers are manufactured in adherence with the industry set parameters and tested on various quality grounds, before final delivery to our customers' end. Looking for Predefined IP Indicators and Controllers ?